Perhaps the biggest upside and challenge at the same time is that Instagram is a typical visual social media channel. 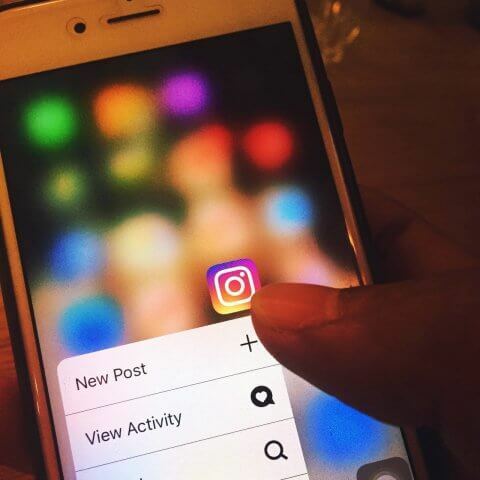 In order to make your promotional campaign a success on Instagram, you will need to find the right balance between this upside and challenge thrown by the platform. The followers on Instagram praise the art of photos so you must provide them with visuals that connote a thousand words. Post more raw images with original and beautifully filled emotions and gain real Instagram followers. The only marketing downside that you will ever face on the platform while advertising your e-commerce business is its lack of links. In contrast to Twitter and Facebook that comprise link sharing, Instagram prohibits hyperlink URLs in comments and descriptions. However, Instagram allows you to curate and leverage hashtags that also work as a filter for your product and service related content on the platform. Hashtags have the potential to provide your campaign with more exposure while encouraging your followers to generate more photo shares and submissions to finally getting them to shop for an item from your e-commerce site. Simply posting and gathering user-generated content is not enough as you will need to concentrate on responding to users that serve as an active participant in your campaign. It is crucial to keep the relationship with your consumers authentic, which will further aid you in planting the shopping seed. This can be easily done by setting up a triggered response that highlights as a comment on the post. However, make sure that response does not seem overly generic or spammy and reward the participation with discounts and coupons. This implies expanding the influence of user-generated Instagram content by connecting potential customers to relevant item purchase suggestions in the micro-site or display galleries. By creating product suggestions right into galleries, you can easily make the product shopping a breeze for your consumers. Finally, it is important to emphasize reliability and authenticity on Instagram. The best way is to be creative with your content sharing policies and improvise the efforts around user-generated images. Stick to these tips and promote your e-commerce business greatly. NextHow the Internet Is Changing Our Driving Habits?